sunlight with some control over the role of coated glass. It has the following shortcomings: pinhole: coating glass transmission direction, the relative film visual transparent part or all attached to the film's point-like defects; spots: from the direction of transmission of the coated glass, the relative film overall dark color of the point-like defects. Degree of vacuum is not enough, poor adhesion of the film. Magnetron sputtering coated glass required in a high vacuum environment, the basis of the sputtering chamber pressure required achieving 4 × 10-2Pa can be effectively coated. The degree of vacuum is not enough, barely coating appears the bulk of the film structure is not strong, and there will be a large number of massive photic zone scrubs with alcohol. This situation, only by improving the sputtering indoor vacuum degree of vacuum to achieve the required coating. Washing machine cleaning is not enough. The cleanliness of the glass surface of a direct impact on the quality of the coating in the coating production process, quality control, in addition to a vacuum environment, the most critical step is the cleaning of the washing machine. 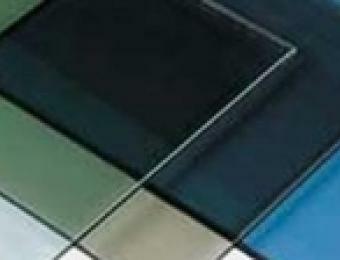 Coated glass surface of a variety of linear scratches visible depends on their length, width, location and distribution. Before coating scratches. Before the coating process, its causes are many: such as each process, the films were shown, transshipment between each process. The formation of such a scratch, only to rely on to improve the operator's initiative to take measures to actively prevent. Scratches in the coating. Caused by the coating process equipment. Obvious rules of the nickel oxide coating in the scratch, the scratch will be along the direction of the velocity, and very straight, linear-shaped without any inflection point. Scratches in the coating is divided into two kinds of membrane surface and the glass surface scratch, the membrane surface scratches most from molecular pump cover sinking or transferred to the gas divider due to the decrease. Glass surface scratches mainly due to the thick bottom or a T-plate transfer roller coating or thermal deformation caused by not edging glass can be heavy in the sputtering indoor repeatedly coating to reduce or eliminate. The formation of the stripes of the following three main reasons, there are different solutions for different reasons. Cloud-like markings. Mainly due to the freshness of the original film is not enough, of Na + extravasations, which is commonly referred to as mildew. After the steel, but can not be completely removed, so the formation of cloudy markings, and its solution in addition to ensure that fresh and original film, on the expiration of the original film (expiration time not too long) can be polishing powder polishing treatment, then plated membrane, can improve the binding force of the glass and film in order to reduce the generation of stripes. Of course, long expiration time of the original film, polishing powder use also invalid. Radial markings, mainly when the washing machine air knife is not blowing clean, coat the radial markings. The solution for adjusting the angle of the air knife, and to ensure that no foreign body inside the air knife. Stripe-like markings. Mainly due to the local barometric pressure changes within the neodymium fluoride coating machine, especially into export Room leak, leak detection caused by local pressure changes in the area is extensive, only rely on the manufacturers of their own experiences and related equipment, excluding before normal production. 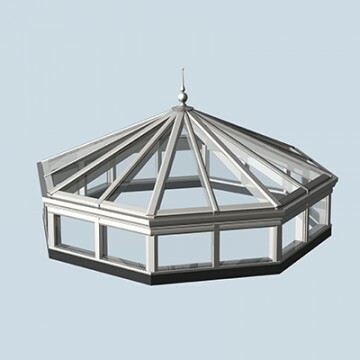 Low-E coated glass is a far-infrared high reflectance coated glass. Low-E glass as a magnetron sputtering coated glass with solar control film as a pinhole, markings, scratches, underground passage, and other defects in the solar control film is an elaborate, this is no longer duplication. However, due to the current low-E glass and the sun membrane, most of them are soft membrane, so the relative sun film, the defects in the vast majority from the coating after the order of processing, such as the sequence oxidation, the order of steel defects. Therefore, in addition to the coating process controlling of toughened low-E glass, other appropriate processes should have the appropriate measures in order to reduce the generation of defects. Both the Solar control film and low-E glass should find the defect causeComputer Technology Articles, thus it is possible for them to reduce the defects formation.